Written early on in the development of bar-code point of care systems, the American Journal of Health-system Pharmacy offered this article as a primer for hospitals wanting to explore the benefits and challenges of bedside medication verification. Neuenschwander M, Cohen MR, Vaida AJ, et al. 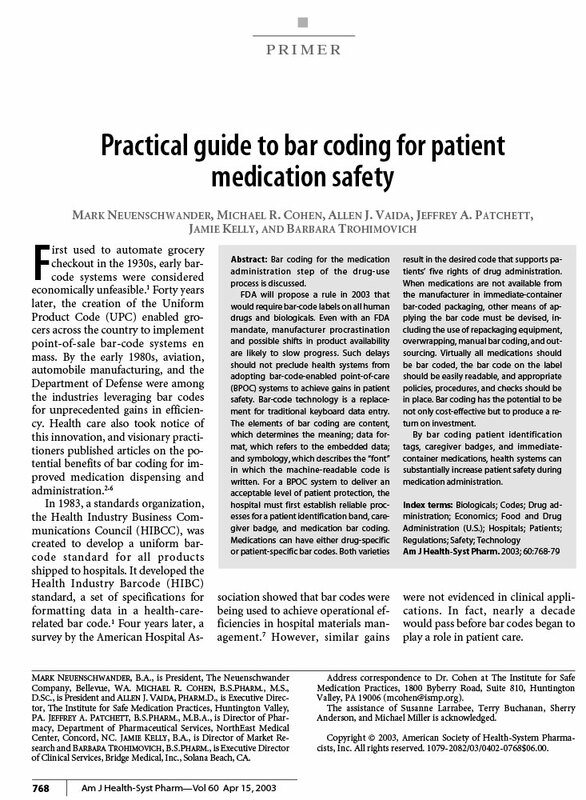 Practical guide to bar coding for patient medication safety. Am J Health-Syst Pharm. 2003; 60(8):768-79.